Baker Mayfield's Projections for Next Season Are Insane With Odell Beckham Jr.
Baker Mayfield might not have won Rookie of the Year for his impressive 2018 season, but the soon-to-be second-year QB was arguably the most polished rookie quarterback the league has seen in a while. He completed 63.8 percent of his passes for 3,725 yards and 27 touchdowns, and that was after not starting until Week 4. Mayfield was already primed for an even better season in 2019 – after a full offseason of working with new head coach Freddie Kitchens – but now with the ​addition of All-Pro wide receiver Odell Beckham Jr., Broadway Baker could be a top-5 quarterback. A season of 4,390 passing yards and 33 passing touchdowns would have put Mayfield at seventh in passing and sixth in touchdowns in 2018, good for the No. 5 fantasy quarterback. With Kitchens running the offense, and a receiving corps that now includes Beckham, Jarvis Landry, Antonio Callaway and tight end David Njoku, the sky is the limit for the group in 2019. Not to mention, they have ​Nick Chubb, Kareem Hunt and Duke Johnson in the backfield. Suddenly, the Browns are one of the most talented offenses in the league and a team full of players to target in fantasy football. That's a sentence that hasn't been written about Cleveland football in a very long time. 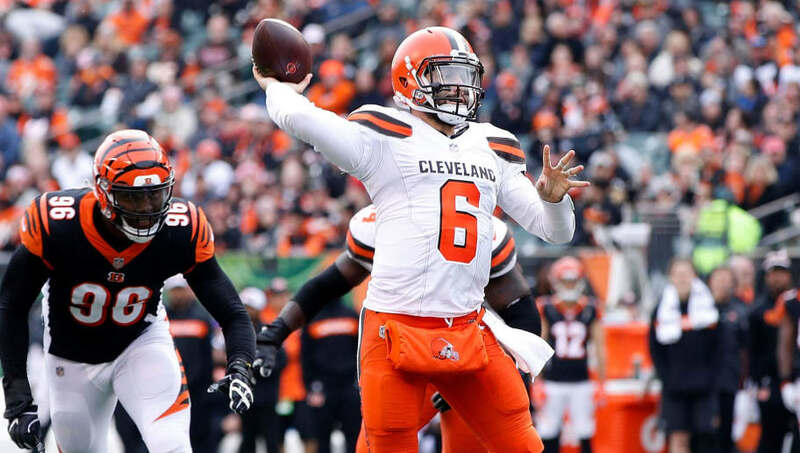 The future is very bright for both the Browns and Mayfield as the second-year quarterback looks set to lead his team to the playoffs – both in fantasy and the NFL.